History has proven time and time again that we like to draw inspiration from cultures and design of the past. The art deco movement goes through revivals every twenty years or so. Retro designs regularly crop up and the Mid-Century (1950s) floral patterns enjoyed resurgence thanks to the likes of Cath Kidston. Many were a household who had a dustpan and brush with a freesia motif. However, it isn’t just design that makes a comeback but materials too. There was a time when wood was more or less the only option for making exterior (or interior) signage. It was because it was abundant and was straight forward to work with. As time marched on and new processes were introduced, plastics and metal became the ‘in thing’ to work with. Wood increasingly became associated with pubs, tatty independent corner shops and hardware stores that do everything by weight. However, as the nature of business changed and marketing began to grow in influence, materials began to change to reflect the character of the business. And thus wood made a triumphant come back. In truth, wood never really went away, it was just marginalised. But as business increasingly inject more and more of their personality or their product into their offices and marketing materials, wood is now a popular choice amongst, businesses of all types including retail, service, marketing and even software houses. 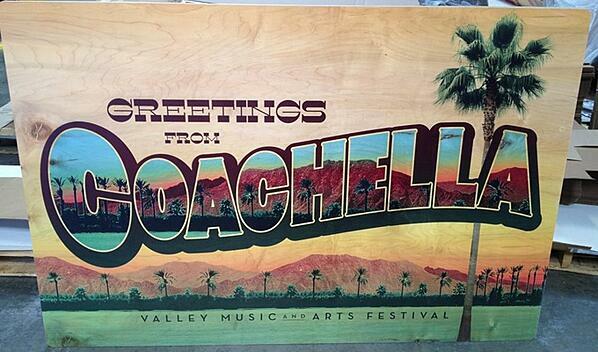 A unique and eco-friendly process, wood printing has even caught the eye of big businesses including Coca-Cola, O’Neill and Toms, while signage has become commonplace at renowned events such as Coachella. 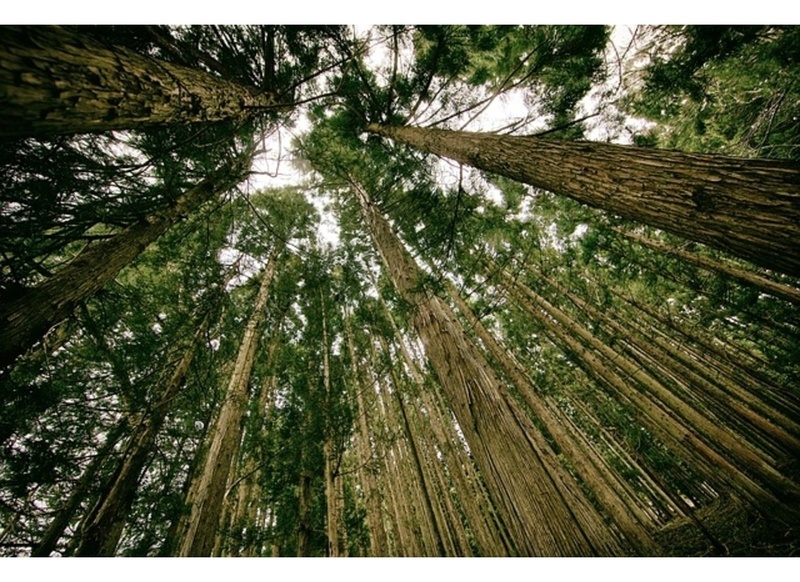 So why opt for wood over ‘space age’ materials such as plastic, card or even fabric? To begin with no piece of wood is the same, a fact that guarantees originality with every print. This isn’t just true of the cut but from the type of wood too. Pine communicates a very different story to walnut. Being a natural material, wood also gives off an appearance both rich and beautiful. Custom artwork will serve only to improve this further, helping graphical efforts stand out above the crowd. Longer term natural weathering meanwhile will enhance an item’s quality tenfold. Think rustic or shabby chic and you get the idea. Warping or rot aren’t an issue either if the wood is properly treated. That is assuming you’re using your design piece externally. The internal applications are as numerous, if not more, than externally. This is, of course, if you go with the natural look. Painting the wood first, when done in the right way allows for the natural texture of the wood to still show through giving the work an authentic yet premium finish. Wood prints can be stylish, hand-crafted, high end and improved upon with either matt or gloss varnishes. The material is durable, strong and flexible; lending itself to curved walls or surfaces. Resistance to warping is another welcomed trait. Moreover there is less of a need for photo mounting, given wood comes in a wide range of thicknesses. Modern Inkjet technology has advanced to such an extent that printing on to wood has become not only attainable but affordable. For the growing number of independent, boutique shops popping up on market town high streets this is great news. Signage, business cards, A-Boards, labels, custom table tops and beyond can all be custom cut, printed and finished without breaking the bank whilst looking like they did. Wood printing can be tailored to your exact requirements. We can cut and etch by laser, oversee custom shaping, engrave and provide a range of thicknesses – all whilst retaining the natural beauty of the material. Fine wood printing remains, for some, an untapped resource when it comes to promotion. It is however an expanding industry and one guaranteed to mix up your marketing.